Estamos ante el que seguramente es el blanco dulce más mítico del planeta procedente de la extraordinaria cosecha 2016. Un vino que en cada añada alcanza las más altas puntuaciones posibles. Se presenta aquí en una botella de 37,5 cl. Hasta 2070 en óptimas condiciones de conservación. Recomendado con quesos azules o con un viejo queso comté, así como con codornices, patos u otras aves e incluso con sushi. 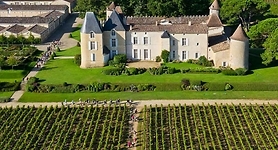 Château d'Yquem se encuentra entre las comunas de Sauternes y Fargues en terrenos predominantemente montañosos. Su suelo permite gestionar el agua recogida durante toda la fase vegetativa, por lo que los periodos de sequía le afectan menos. Terrenos principalmente de gravas aunque también cuenta en menor medida con suelos arcillosos. El invierno de 2016 fue muy suave y húmedo. Las precipitaciones de primavera fueron cercanas al promedio estacional excepto a finales de mayo y principios de junio. Las temperaturas medias también fueron normales, aunque las fluctuaciones entre el calor y el frío fueron mucho más altas que las normales. Más tarde de lo habitual la brotación y un período muy húmedo a principios de junio retrasaron la floración. La sequía en verano pudo haber provocado un estrés hídrico excesivo si no hubiera sido por el hecho de que la mayoría de las parcelas de Yquem tienen un profundo subsuelo arcilloso que almacena reservas suficientemente grandes de invierno. Más tarde de lo habitual la brotación y un período muy húmedo a principios de junio retrasaron la floración. La sequía en verano pudo haber provocado un estrés hídrico excesivo si no hubiera sido por el hecho de que la mayoría de las parcelas de Yquem tienen un profundo subsuelo arcilloso que almacena reservas suficientemente grandes de invierno. Manual con varias pasadas entre el 27 de septiembre y el 4 de noviembre de 2016. El vino se embotella habitualmente durante el tercer invierno después de la cosecha. 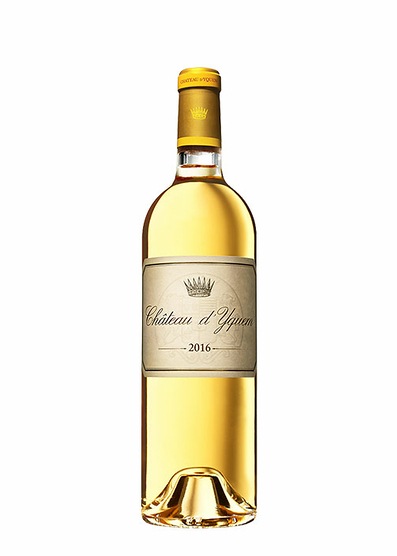 The 2016 Château d'Yquem was picked over four tries through the vineyard, commencing on 27 September and finishing on 4 November. The crucial pass through the vines took place between 18-22 October when over half the crop was picked. In fact, 75% of the crop was picked during the final two weeks of the harvest. It has 14.2% alcohol and a residual sugar level of 135 grams per liter, a pH of 3.80. A classic blend of 75% Sémillon and 25% Sauvignon Blanc, it has a comparatively nuanced bouquet compared to Yquems that I have encountered at this stage. It opens gradually with light honeyed aromas, white flowers, apple blossom and just a touch of honeysuckle, although it does not possess the bravura personality of the astounding 2015. The palate is medium-bodied with a viscous opening, a subtle spice note leaving the mouth tingling. This is a fresh Yquem, tensile with moderate weight and delivering, perhaps belatedly, fine attack on the finish lined with subtle lemongrass notes. It will be interesting to plot the progress of this Yquem throughout its barrel maturation. This is an excellent Yquem no doubt, though I was missing that nerve, the labyrinthine complexity that can mark a top-tier Yquem even at this premature stage. I suspect that this will drink earlier than others, but age in a style only it knows. - Neal Martin. Despite a rich botrytis character, this balances impact with delicacy. Clear citrus on the nose with a hint of flint and smoke, allowing the soft white flowers and lime blossom to steal up on you slowly. There are caramel notes through the mid-palate and great persistency, as ever. Extremely elegant. 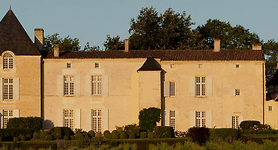 This was the driest summer since 1898, and the harvest at Yquem lasted a full two months, from 4th September (for the dry white Y d'Yquem) through to 4th November for the final selection of botrytis berries. The final yield is 20hl/ha, the highest in recent years against their average of 9hl/ha, with 40% going into the grand vin compared to 50% last year. 135g/l residual sugar and 3.9pH. 75% Sémillon and 25% Sauvignon Blanc. The bouquet opens with aromas of honey and citrus, offering richness and freshness at the same time. The mouthfeel is opulent, with honeyed flavors. There is some acidity underneath, although decadence and concentration are its defining attributes. It will age for decades.